Getting There: There are now quite a few flights that operate on the Nairobi-Mogadishu route. Some of them include Turkish Airlines (but one has to go via Istanbul), African Express, East African Airlines, Jubba Airways, Air Uganda and Ethiopian Airlines (Note this one doesn’t fly to Somalia but to Hargeisa Airport in Somaliland). A ticket to Somalia or Somaliland costs between $500 to $1,000+ depending on the season. To get to Somaliland we took Jubba Airways (though I learnt they don't comply with IATA laws), and to Somalia we used East African Airways which is owned by 540 aviation. 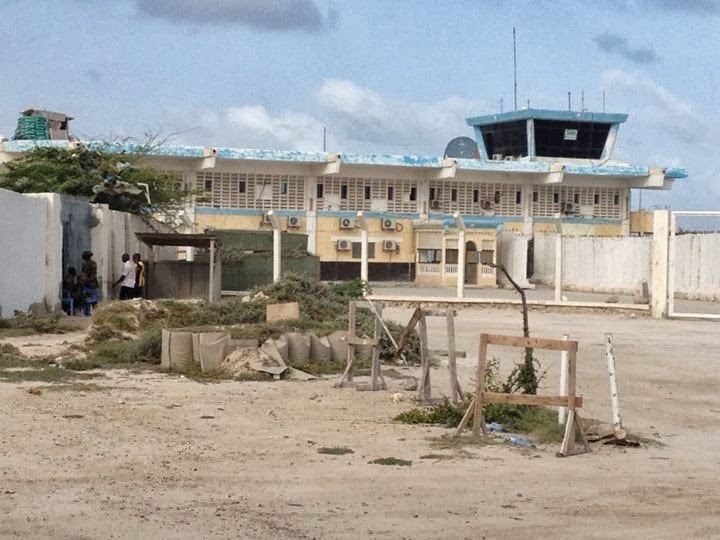 On Arrival: When one lands at the Mogadishu airport, you won't be allowed to enter into the country if you your not being picked up or have proper documentation. Due to the security situation in Somalia, they are very careful about letting visitors enter into the country without proper host details. But, in Somaliland one only needs to produce a letter of invitation. A visa is paid for on entry which costs around $35 although the immigration officers rarely indicate the actual amount in the receipt. When you get to the immigration area, you meet one officer who assesses your letter, then refers you to another who will collect your money and give you a receipt, then the last two officers check whether the visa fee has been paid and let you into their country. Although they have all these checks and balances, one needs to be careful as they are not transparent as they seem. Odd Airport Points: The airports, both in Somaliland and Somalia, did not resemble anything I would call a modern airport. - and this was probably due to the wars which both countries have struggled to recover from. 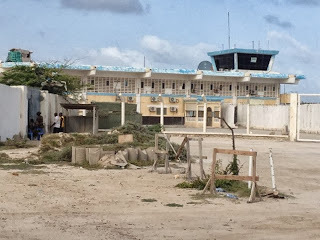 While checking in at Mogadishu, I was petrified, as the airport resembled a market and there wasn’t much respect for queues. In Somaliland, the case was different except that one is required to pay an exit fee which is more than the visa fee. One pays $10 as airport handling fees, moves to another counter (2 minutes away) to pay for a $35 'exit fee', then moves on to another officer who stamps your passport & verifies the receipts, and then finally proceeds to other officers who let you access the luggage belt. Getting Around In Somalia, we never used a taxi as we were being hosted by the UN and AMISOM which also meant that we had security as well as a car. However, in Somaliland we got off the plane at Berbera Airport which is 3 hours away from Hargeisa. We had pre-arranged a taxi and security as this was a requirement. Along the way there were many road blocks (almost 30 on the 3 hours journey), and it seemed that those that had a security chase car spent less time at the checkpoints compared to those without. The cost of each security person is $20 and one needs to pay for a car for them which is fuelled, and hire about 3 others. In Mogadishu it’s not safe for foreigners to walk around. So if you have a workshop or event, what happens is that participants come to the hotel /guest house where you're staying, rather than you going to them. One can only walk around the AMISOM/UN protected area which is a designated zone reserved for only the international guests. In Somaliland, it’s relatively safe and one can walk freely in Hargeisa without having to worry. The only unsafe place in Somaliland is when moving long distances like in our case from Berbera Aiport to Hargeisa Town. Most Somali’s I met understood English and they have some English Papers. Since you are required to arrange and pay for your accommodation, and sometimes also the cost of transportation, one hardly has to spend any money unless it's for making phone calls or buying drinks for friends. I personally never used any money. Staying in Touch Somalia and Somaliland have some fast internet as well as cheap calls.The airport in Somaliland had wi-fi which was really fast, and in Somalia I was able to access internet at my guest house and also at the UN and AMISOM offices. 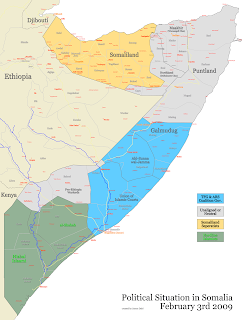 What to Eat: Both Somalia and Somaliland are Islamic states, and beer is not openly sold although international guests are able to access alcohol. Spaghetti and Rice is the staple food in Somalia and Somaliland. Shopping & Sight-Seeing: In Somalia I was able to walk around in the AMISOM and UN guarded areas but was not able to go to Mogadishu centre or meet with many locals. It’s not quiet safe yet despite the presence of the AMISOM troops. I wasn’t able to go to a shopping area as it was not safe to go there. I wouldn’t know if they have one, but I saw some shops in the airport selling some touristy stuff. Surprises about the Trip: Somalia and Somaliland both have beautiful beaches and coastlines. Also Somali’s love poetry and they have quite a number of poets, but one may needs a translator to understand the poems. * The post was prepared last week before the unfortunate events in Nairobi on Sept 21, 2013.